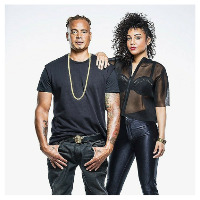 2 Unlimited was a Eurodance group from Amsterdam, Netherlands formed in 1991. The project was the brainchild of the Belgian production duo Jean-Paul De Coster and Phil Wilde, who wrote and recorded the backing tracks. Their songs&apos; vocals were performed by Dutch rapper Ray Slijngaard and singer Anita Doth, who also wrote the lyrics. The two original members now record as Ray & Anita. Their first hit, Get Ready for This, was released in 1991 and took the European charts by storm, first as an instrumental version, then as a rap version. They are best remembered for No Limit, which was a world-wide number one hit in 1993, reaching number one in 35 countries. The group amassed a total of twelve Top 20 hits in the United Kingdom, and took two of their albums to number one as well. Shortly after releasing a greatest hits album, they split up in 1996 due to conflicts over 2 Unlimited&apos;s future: Ray Slijngaard wanted to move more towards rap, whereas Anita Doth wanted the group to become an R&B-inspired group. Do you promote/manage 2 Unlimited? Login to our free Promotion Centre to update these details.